The death of FAMU drum major, Robert Champion, was ruled a homicide by the District 9 Medical Examiners Office of Florida. The 26 year old is suspected to have succumbed to injuries incurred through hazing related activities. due to blunt force trauma sustained during a hazing incident. CONCLUSION: Mr. Robert Champion, a previously healthy 26-year-old member of the Florida Agricultural and Mechanical University marching band, collapsed and died within an hour of a hazing incident during which he suffered multiple blunt trauma blows to his body. Immediately after the hazing incident, he complained of thirst and fatigue; minutes later, he noted loss of vision and soon after had a witnessed arrest. These symptoms are consistent with hypotension or shock. Cardiopulmonary resuscitation ensued with aspiration of stomach contents into his airway. In the hospital, his hemoglobin and hematocrit were found to be extremely low (7.0 g/dL and 22%, respectively) with no external source of blood loss or intravascular hemolysis. During this time, his potassium was found to be at a normal level as was his creatinine kinase. The autopsy revealed extensive contusions of his chest, arms, shoulder, and back with extensive hemorrhage within the subcutaneous fat, between fascial planes and within deep muscles. There was also evidence of crushing of areas of subcutaneous fat. He had no injuries to internal organs from the blunt trauma or any bone fractures. He had no evidence of natural disease except for a slightly enlarged heart with a normal left ventricular wall. Subsequent testing revealed no hemoglobinopathies (normal hemoglobin electrophoresis ruled out sickle disease and trait) and negative toxicology for drugs and alcohol. Microscopic examination revealed minimal fatty emboli. He was known to have had a normal hemoglobin and hematocrit (13.6 g/dL and 40.9%, respectively) back in 2008. Based on the short period of time following the blunt trauma, premorbid symptoms, his collapse and dramatic drop in hemoglobin and hematocrit (indicating a significant rapid blood loss), and the extensive hemorrhage within his soft tissues, including deep muscles, it is our opinion that the death of Robert Champion, a 26-year-old male, is the result of hemorrhagic shock due to soft tissue hemorrhage, incurred by blunt force trauma sustained during a hazing incident. 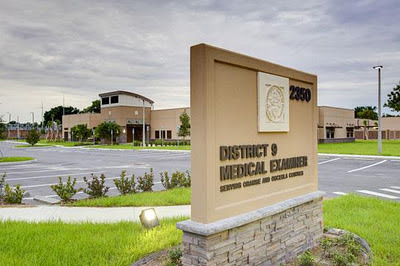 Examination performed by Sara Irrgang, M.D., Associate Medical Examiner, with Jan Garavaglia, M.D., Chief Medical Examiner, in attendance. Too many kids have died needlessly from these hazing practices by fraternities and other organizations. It is about time to report these groups who are practicing hazing. Blind loyalty will lead you nowhere, if not to your death.